Hotel Roma Aurelia Antica is a hidden gem which is just a 20-minute drive from the Vatican City and 30 mins minutes by train to Rome’s city centre. 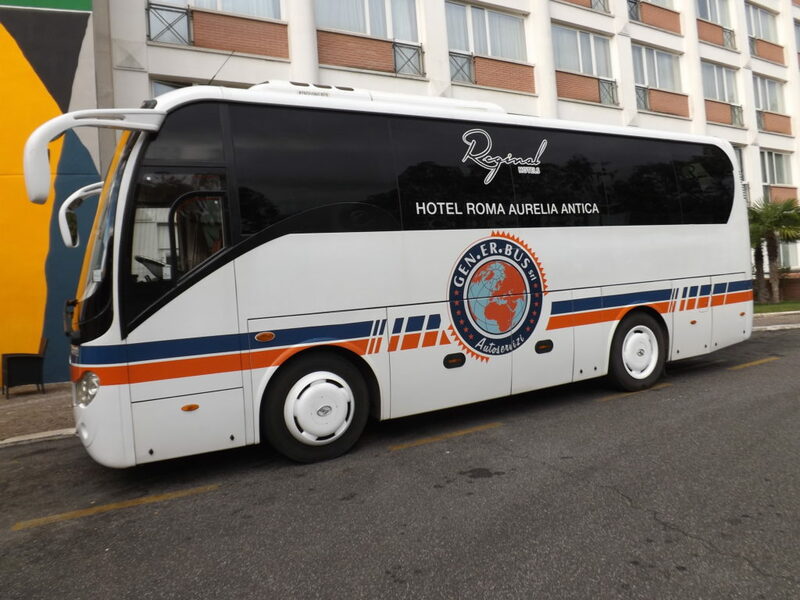 With regularly scheduled hotel transfers to the Vatican City walls at just €3 for a round trip, regular trains and taxi’s available to be booked from the hotel, there are plenty of ways to get to Rome city centre from the hotel. I arrived at Hotel Roma Aurelia Antica absolutely exhausted having not slept for 24 hours due to flight delays and no trains or bus transfers running at the time of night that I arrived in Rome. I was handed the key to my room and had my bags taken straight up to my room with every intention to have a shower and head out but instead I passed out on the bed. What I loved about this hotel is that their guests were international instead of it being a solely a British hotel, having worked as an entertainments manager for years in hotel and resorts you learn to enjoy getting to know people from all walks of life and all parts of the world and although its a little out of the way from the city centre, its still central enough to get into Rome. Evening meals are not included as part of the package for the stay at Hotel Roma Aurelia Antica, but with its very own A La Carte menu it’s hard to resist paying a visit to the restaurant as it offers an array of traditional Italian cuisines, delectable desserts and an extensive list of wines and beverages to suit everyone’s tastes. On the days that I visited the restaurant I ordered the carbonara which was made in a rich creamy sauce, a Gamberi e Pecorino which consisted of bacon, shrimps pasta in a creamy cheese sauce , I also ordered a roasted chicken served with roasted Mediterranean vegetables and of course the restaurant visit wouldn’t have been complete without ordering a tasty spaghetti bolognese. I only ordered desert once whilst in the restaurant which was the Semifreddo alle castagne e Cioccolato Caldo which is parfait with chestnuts and hot chocolate cream all meals are served with complimentary bread rolls. I am not really the breakfast type because I am always in a rush everywhere, so when I am away I always take fall advantage of the breakfast buffets and the great thing about the hotel package is the breakfast buffet is included. The buffet is open from 7 am to 10:30 am and there is a wide variety of eggs, bacon and sausages, to cereals, yoghurts, fruits, pastries and cakes. Drink wise the Mallorca Restaurant offers various teas and fruit juices, water, coffee and hot chocolate. Please note: that the restaurant is self-service but you must wait to be seated and you can’t take food out of the restaurant. If you have arrived back at the hotel a little late or don’t fancy leaving your room but you’re feeling a little hungry then there is an option of room service that can be ordered and brought directly to your bedroom. I have a little tradition that whenever I stay at a hotel that offers room service, I make it a point to treat myself at least once. On this occasion, I opted for a cheeseburger and fries and I have to be honest this was probably my favourite meal the burger its self, was tasty and juicy and the burger bun toasted served with a garnish and the fries were flavoured. I was also brought up a complimentary dessert which was called Affogato al Caffè which you can see in the picture below and consisted of cream, ice cream, chocolate, and coffee and was very rich and tasty even for a non-coffee lover like myself. Please Note: As well as paying the menu price for the food there is also an extra charge for the room service. The Hotel offers 6 different types of rooms including the Superior Room, the Grand Premium, the Standard Room, Junior Suite and the Grand Suite Experience. I stayed in a superior room on the 4th floor (the only floor to have had the carpet replaced with wooden flooring). Which I must say that the room was stylish and spacious, which catered to all my needs including a comfortable king sized bed, a 32-inch Television screen, a mini bar fridge filled with snacks and drinks all available at an extra cost. For my work needs, I had a desk and a homely armchair, other extras included a kettle and a safe. The bathroom was an impressive size as which included nice fluffy towels, toiletries, a hairdryer, as well as you’re usual must have in a bathroom. Housekeeping came every day to replenish my toiletries and to tidy the room. The hotel contains two bars one by the swimming pool which was closed as the swimming wasn’t open during that time of the season. The other one this is main bar area between the reception area and La Sughereta Restaurant on it daily basis it offers a happy hour a variety of drinks as well as being able to order snacks from the bar from 10 am till midnight. The reception area is manned 24/7 and as you enter the hotel it is the first area that you see when you enter the hotel, they offer currency exchange, wake up calls and you can book the shuttle or taxies from them. An outdoor terrace to relax after a hard work out. Most hotel’s offer art framed on the walls of the hotel. Hotel Roma Aurelia Antica like to have their artwork on display for all to see and they commissioned an internationally renowned street-art artist called Moneyless to paint 30-foot murals across the outside walls of the hotel. One of my favourites is the picture above. 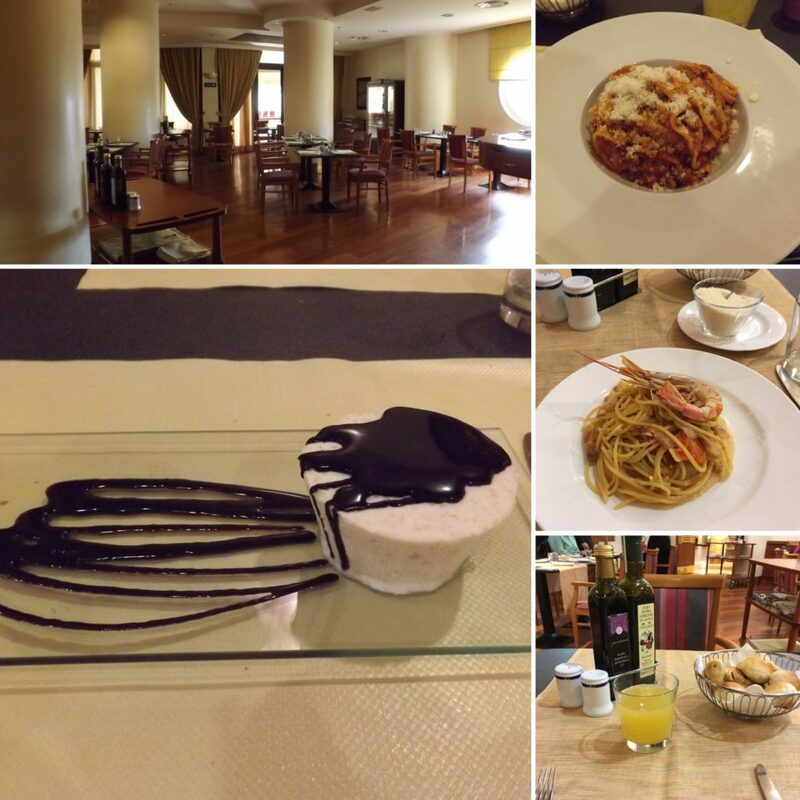 This is the second time that I have visited Hotel Roma Aurelia Antica, the first time the staff were unaware that I was a Travel blogger/YouTuber and this time around I was invited to stay and found all the staff to be very helpful, polite and friendly on both occasions. Roma Aurelia is not in the Vatican City, it’s about 25-40 mins drive and defiantly not within quick walking distance. Below I have put all the ways to get to the hotel. Go down the stairs on the platform and turn left, go up the second set of stairs and turn left again walk past the factory to either the bus stop or keep on walking. Bus Stop (purchase tickets before at the online shop, can’t give a price as driver let me go on for free) get on either of the two buses and get off outside the University of Roma and its a 2-minute walk on the opposite side of the road. Taxi – Be careful, I went to the licensed taxi stand asked the driver how much he quoted me €20 euro, so I got in and he changed his mind and said €60 so I stopped the car got out as there was no metre and he tried to charge me €10 for a 3 second ride I refused and walked away. Beautiful pictures. I liked that you were able to sleep all through til the next morning without being woken by noise. It means the bed was comfortable and you could be away from “street noise”. The free dessert was a nice touch and would definitely impress. The Hotel has a “boutique feel”, is modern and looks very comfortable and inviting. The location of Hotel Roma Aurelia Antica makes it a winner. La Sughereta Restaurant looks classy. Hope they have something for vegans as well! I loved the interiors of the rooms. It is understated and calming. What a beautiful hotel! It looks like you enjoyed your visit a lot not to mention got to eat some amazingly yummy food. It’s funny that you found the burger and fries your favorite meal 🙂 And how can you resist room service at least once while there? It’s just part of the fun when staying in a hotel!!! It looks like a very nice deal. And it is always nice that the restaurants on site are as nice as these ones! I do not usually spend much on hotels if I am traveling in Europe but this one would be nice enough to try! Thanks for sharing! Wow! 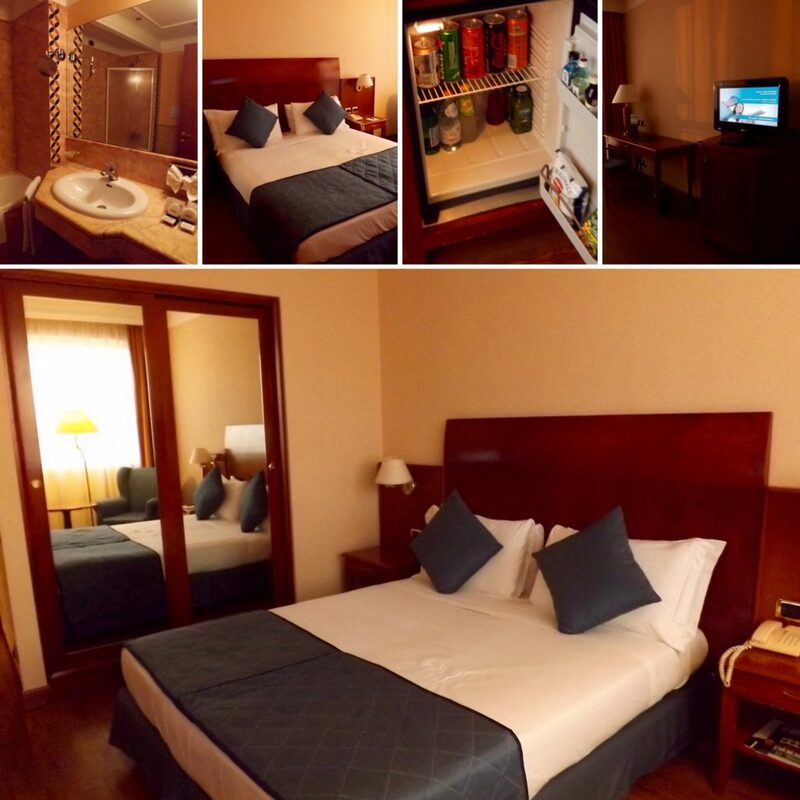 This is such a luxurious hotel with all modern facilities – gym, bar, swimming pool etc. The room is so cozy with all those warm colors. Food looks super delicious especially that dessert. Looks like you had an amazing stay in Roma Aurelia Antica. 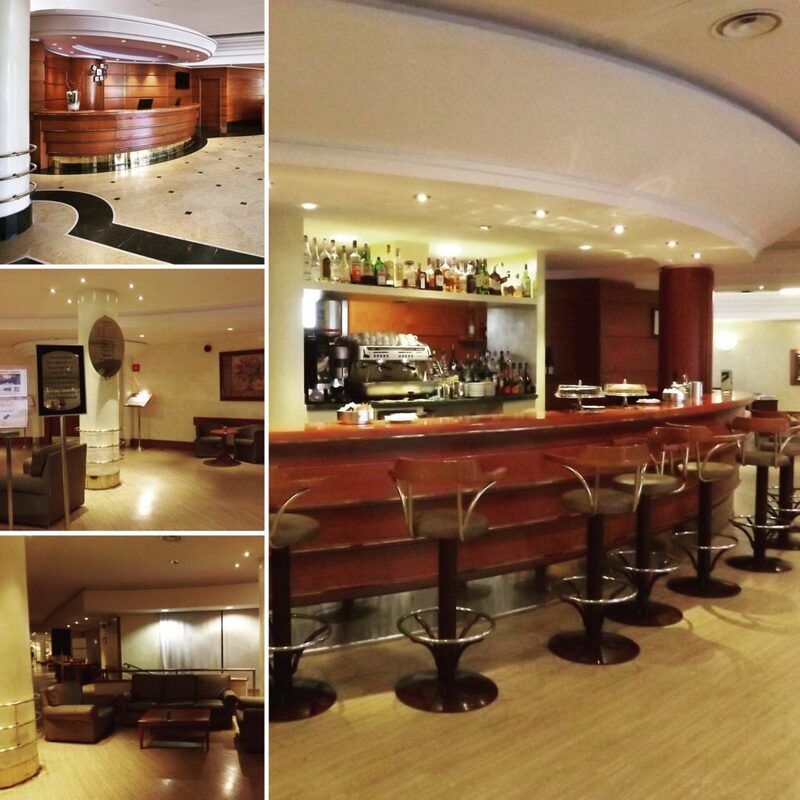 Hotel Roma Aurelia looks like a luxurious and comfortable option while staying in Rome. Reception and bars are looking classy and peaceful. Also 24 hours reception makes it a safe stay. Also this hotel has lots of facilities like gym, Pool tables, and other basic amenities. They provide shuttle buses in reasonable rates to Vatican city. I love that you have details in your review about how long you were able to sleep and the food at the hotel. I appreciate reviews that list all the amenities, but I like small details like this more. These details help pinpoint how quiet the hotel is exactly and what quality I can expect if I stay myself. Great review! The signature dishes look well presented. Yeah, I really feed myself well on breakfast buffets! The gym looks fantastic and I totally love the wall art! We don’t like to go to hotels when there is mainly one nationality. It is so much nicer when the guests are mixed nationalities so you actually feel you are in vacation right? haha Rooms are quite old school decor, but they are just perfect for a simple stay to get around the city. 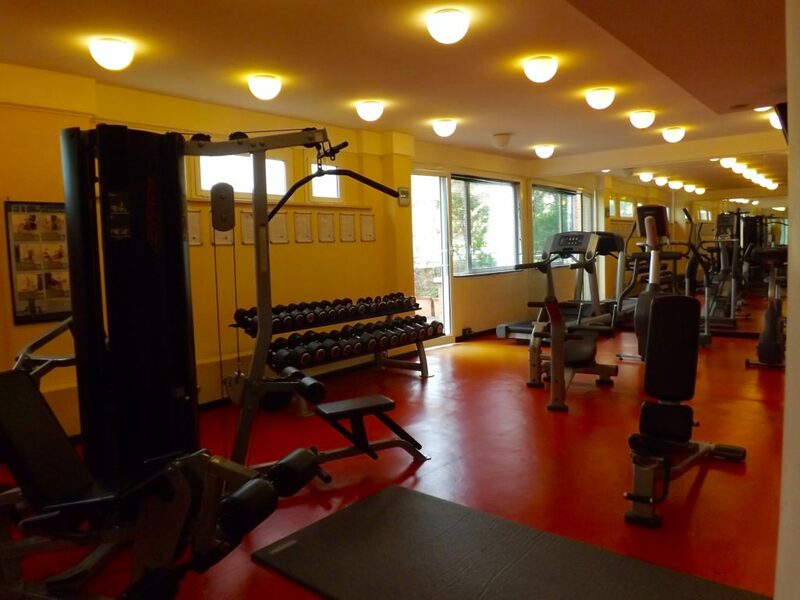 It has quite a decent gym with exactly what you need to have a small workout in! That’s great! Hotel Roma Aurelia Antica looks like a nice place to stay! I want to try their services soon. Looks like you had a lovely time. I would love to visit Rome one day. That looks like a wonderful hotel with neat and clean rooms. The location makes it the best choice. The food looks great too. This was a very thorough review, thank you. I have the same habit of ordering room service at least once when I stay in a hotel. I have found that often the room service is better than the hotel’s dining room / all day restaurants. This sounds like a great hotel for when in Roma! I like the artwork on the outside; it definitely gives a touch of colour to the building. Really in the mood for some pasta after reading this! Really nice hotel, and one to bookmark for the future. Cool hotel! Looks like it has absolutely everything that you need, I love all the equipment it has in the gym and there’s so much art!!! I would stay here for sure! I also really like it when hotels have gym facilities available free to use by guests. Travelling can take a toll on the body so being able to keep up with your fitness and strength while travelling is so important! Looks like a really functional, smart and clean hotel. That pasta looks delicious – yummy! This sounds like an amazing option for staying in Rome. I love hotels that include a breakfast buffet and a gym. The rooms look very cosy as well. 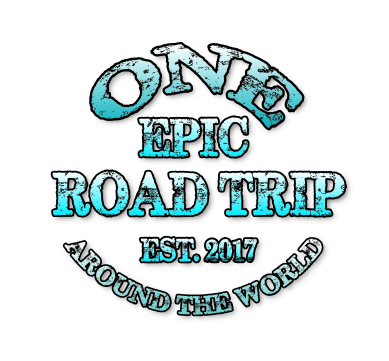 Would definitely keep in mind for a future trip. Thanks for the review! It was a lovely place to stay and although not directly in Rome there are plenty of ways to get there and I loved my stay at this hotel as I have been there 2 twice now. This looks like a nice place to stay. Very comfortable and cosy. The restaurants look great as well. Wow it looks like an awesome hotel – we like staying a little further out of the city to escape the hustle and bustle, so this would be perfect for us especially as it’s so cheap and easy to get into the city. The food looks incredible too! I wanna try the Gamberi e Pecorino! 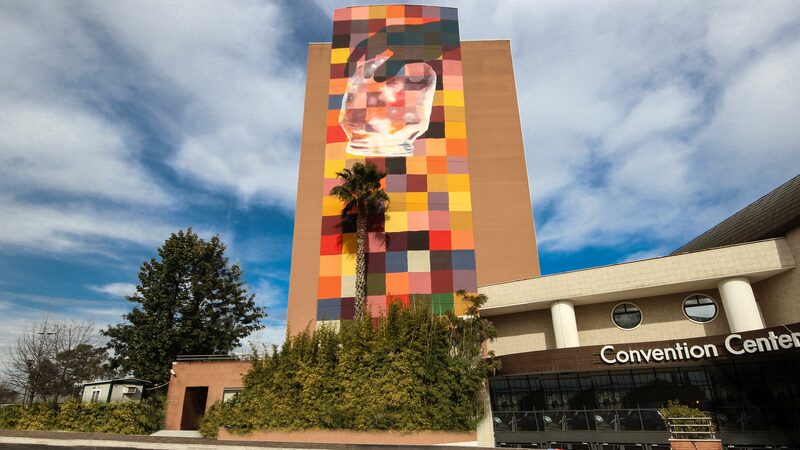 I am already in love with the hotel with its artwork on the building. Overall, it looks very comfortable, hospitable and one that would be perfect to stay while on a holiday with family. Superior room had all the amenities and looks lovely. I liked it where you said you definitely give one try to the room service. Seems like a very comfortable hotel – in terms of decor and the rooms. I like the plethora of facilities too. The shuttle services are the most useful for it helps travelers like us to get around the city in the most convenient way. Well reviewed. I love how central Hotel Roma Aurelia Antica sounds – being 20 minutes to the Vatican and 30 to Rome, and I do love that it appeals to international guests and you can mingle and meet people from other cultures. That’s usually something which is missing from hotels, but a perk of hostels, even though I much prefer the luxury of a hotel. So this sounds perfect! The rooms look beautiful and comfy, and the resutrants sound great. I’m not usually a breakfast person either, but I do enjoy an included hotel buffet! And its fabulous to know that the service was excellent when they didn’t know you were a travel blogger on your first stay. Will stay here on our next trip. Thanks for the tip! When we were in Rome we stayed in a hotel that was quite far from the main attractions like the Vatican City. The Roma Aurelia Antica is strategically located which makes it so convenient for visiting the landmarks. As it is Rome is a city where you have to walk a lot so it makes sense to be strategically located. The hotel also has a great ambience and I can see the rooms are really comfortable and the facilities too are A1. Definitely a place we will check out next time when we head to Rome. Looks like a great hotel, love the onsite restaurants as well – we are all about maximizing on the breakfast as well. But what I love most is the mural that they have – it is not something you see in hotels. Beautiful. Hotel noted for our next trip to Italy. We have been in many places there but not in this one. This hotel is super amazing although it’s small. I would love to try out the dessert and have a work out in the gym. The nice hotel has everything a traveler needs. How perfect! Hotel Roma Aurelia looks like an excellent choice for Rome. It’s funny that the best meal you had was the burger, and not the carbonara, Roma is famous for this dish! I like that they have a gym too, and well done for going everyday. You’re more focused than me, that’s for sure!